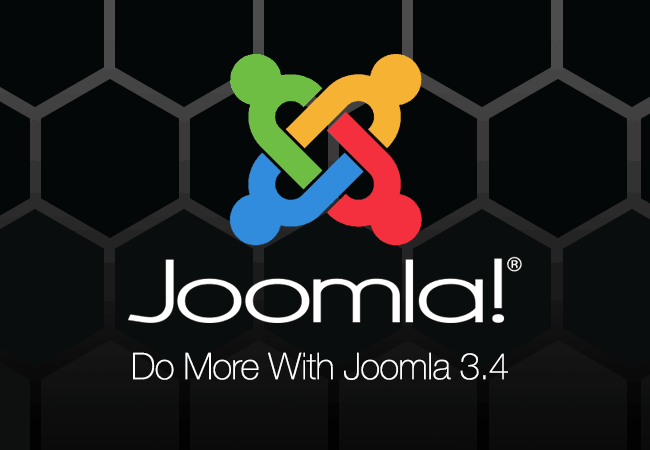 Core Update: What’s New In Joomla 3.4 ? Front-end module editing and more, coming this week in Joomla 3.4. Joomla 3.4 is due out this week! Last week, the Joomla! Project announced its Joomla! 3.4 Release Candidate, in advance of its upcoming first release of 3.4. We here at the ‘corePHP’ team have provided some assistance to the 3.4 release, and we’ll be ensuring that all our own custom Joomla extensions are compatible with the upcoming 3.4 release of Joomla, to ensure a smooth transition for all of our customers. The 3.3 to 3.4 update is just a one-click process. So there are no data migration headaches coming your way. If you choose to test out the Release Candidate, make sure to do it on a test site, not a live site. It’s good to see many new people on-board on Joomla’s Production Leadership Team, assisting as a team to get Joomla 3.4 successfully launched, in addition to working on future software improvements for this outstanding CMS. In the past year, over 1,000 bugs have been fixed by the Bug Squad, and there have been over 2,000 commits since the Joomla 3.3.6 release last October. Joomla is moving more and more of its editing capabilities to the front-end, rather than always needing to access your website via the Admin (“back-end”) interface. This has been a long-term goal for Joomla, to speed up content updates, and make it easier for site Administrators to give their clients and site content providers a far easier process in order to update their own sites. As of Joomla 3.4, content creators and editors will not only be able to access articles from the front-end, but if activated, they’ll have access to change content on Modules as well. When logged in, designated site editors will see an edit option appear on modules, indicating they are indeed editable. It’s really slick, a major improvement for Joomla! Since Joomla’s founding, its philosophy has always been to create a powerful, but lightweight core. This modular design allows site owners to add only the functionality they need or want to their sites, without the bloat of having those features baked in to the core. When Joomla was created, certain universal core features were included in the core. Over time, these features will be removed. For version 3.4, the Weblinks function will be decoupled from the core (com_weblinks). Before the stable release of 3.4, a new category will be created within the Joomla! Extensions Directory (JED). This new category will be for extensions marked as core-supported. For websites using Weblinks your website will continue to function as normal. This means weblinks will not be removed from your Joomla installation, maintaining backwards compatibility. Weblinks will install like a normal extension. For the 3.4 release, the PLT Team has integrated Composer into the CMS for managing external dependencies such as the Joomla! Framework and PHPMailer. With just a single click, your site users will be able to confirm they are not a robot. Google introduced a no CAPTCHA CAPTCHA API in December 2014. The PLT Team updated the reCAPTCHA plugin to protect your login and registration forms against spam. While still supporting the old reCAPTCHA 1.0, you can now also use it for the new reCAPTCHA version 2.0. The official language of Joomla is English (en-GB). 3.4 introduces standardized English language strings, which appear throughout your Joomla installation on both the front-end (e.g. notices and alerts), and the back-end admin (e.g. all menus, meta information, instructions, etc). A newly updated style guide will ensure better language consistency throughout Joomla, as well as providing translation teams with an easy framework and guideline to create their own style guides, to ensure consistency throughout the project. This entry was posted in Announcements and tagged Joomla, Version Updates on February 23, 2015 by The Core Team.